the moon through the ages. 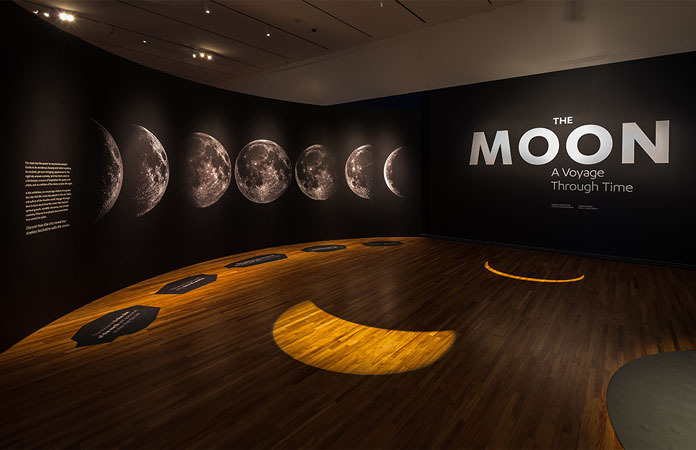 Celebrate the 50th anniversary of the first human steps on the moon by discovering the wonder, knowledge, and beauty the moon has inspired through the ages. The moon has inspired people the world over to create art, form beliefs, and strive for scientific understanding for thousands of years. Spanning pre-Islamic times to the present day, and delving into the arts, literature, and music, The Moon: A Voyage Through Time brings together important miniature paintings, scientific instruments, Islamic manuscripts, and contemporary works of art to illustrate the wonder at the moon that is shared among cultures. 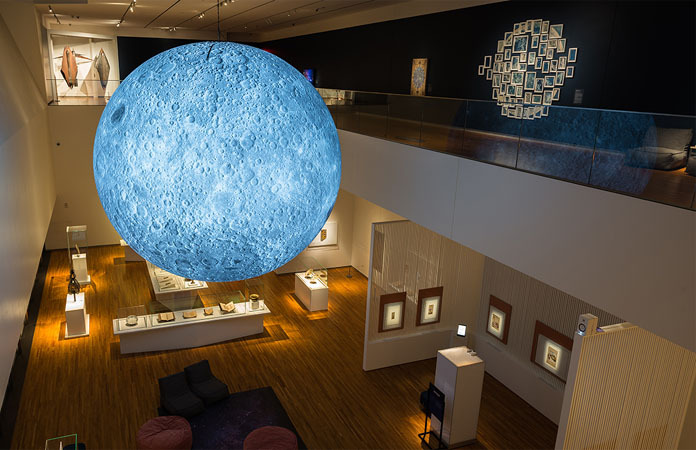 A highlight of the exhibition is Moon, a giant sculpture connecting the Museum’s first and second floors. Created by contemporary British artist Luke Jerram, the internally illuminated replica moon features detailed NASA imagery of the lunar surface, includes a sound composition by BAFTA-winning composer Dan Jones, and measures five metres in diameter – to get an idea of scale, it would take 40 people standing shoulder to shoulder to circle the sculpture. “Jerram’s Moon looks ethereal – and almost hyperreal,” says Fast Company. Pieces by contemporary artists and masterworks from the Aga Khan Museum are joined by loans from many prestigious international institutions, including the Cleveland Museum of Art, Cleveland; Columbia University Libraries, New York City; Farjam Foundation, London; Harvard Art Museums, Cambridge; Morgan Library and Museum, New York City; Museum of the History of Science, Oxford; National Museum of World Culture, Amsterdam; Royal Ontario Museum, Toronto; University of Michigan Library, Ann Arbor; Victoria and Albert Museum, London; and Wereldmuseum (World Museum), Rotterdam.